Since many of you may want a more detailed description of Swamiji’s last days and final minutes before his passing, I thought I would write something here for all of you. In the week before he passed, Swamiji became much more inward. He wasn’t having people over for tea and spent most of his time either alone, or only in the company of Narayani and Shurjo. A few days before he passed, he wanted to go into town to do some shopping. He had some favorite shops he liked to go to in Assisi, and so he went there, visiting shop owners who have been his acquaintances for many years. On Saturday he invited some of his closest friends over for tea. Sunday morning seemed like every other morning except that he was still asleep when I arrived at his house around 7:00 am. 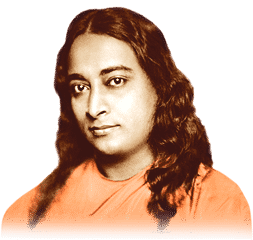 Usually Swamiji was up before 6:00 am and meditated until a little after 7:00 am, but lately he had been having trouble sleeping, and would often get up and meditate for three or more hours before finally going to sleep around 4:00 or 5:00 am. On this particular morning, Jaidhara was in the kitchen as usual and had decided to make Swamiji pancakes for breakfast. Narayani and I went downstairs for our normal morning discussion about Swamiji. Around 7:30am we heard him moving upstairs and she quickly went up. Swamiji had gotten out of bed and dressed himself in his light blue bath robe and walked to his computer to check e-mails as was his habit. Swamiji checked his e-mails frequently to see if anyone had written to him and if they needed his help in some way. When I walked into the dining room, which is also his office, he was still sitting in his desk chair. I asked my usual morning question, “Swamiji, how are you?” He looked very pale and he simply shrugged his shoulders in response. It’s common for him to unenthusiastic about seeing the nurse in the morning, so I just went to the kitchen to see how the pancakes were coming along. I took his blood sugar and it was normal. I told Narayani that he mustn’t have slept very well and I turned to walk out of the dining room. Narayani immediately called me back and said, “Something’s wrong.” As I came back into the room, at that moment nothing seemed to be happening, but then very quickly Swamiji started having a small seizure. His hands and arms were clenching up towards his chest, his jaw was tight, and his face became a dusky rose color. I asked Narayani to call Narya, and she stepped out of the room to find her phone. I wrapped my arms around Swamiji’s upper body to help keep him in the chair and also to try to palpate his heartbeat between the ribs of his left chest. The seizure itself only lasted a few seconds and suddenly Swamiji relaxed down in the chair, his arms let go, he stopped breathing and I could not feel a heartbeat. Jaidhara walked in the room at this point, and I told him to go to the temple immediately and get Anand and Kirtani. All color was drained from Swamiji’s face and he had the pallor I have seen many times in those who have passed. As Narayani walked back into the room, I looked at her and said, “He’s dying.” She said adamantly, “No! No, it’s not time yet!” I thought that perhaps if we chanted AUM in his right ear he would come back. I tried to do the AUMs but I couldn’t because my voice was choked up with tears. At this point Shurjo entered the room and I asked him to chant AUM in Swamiji’s right ear. 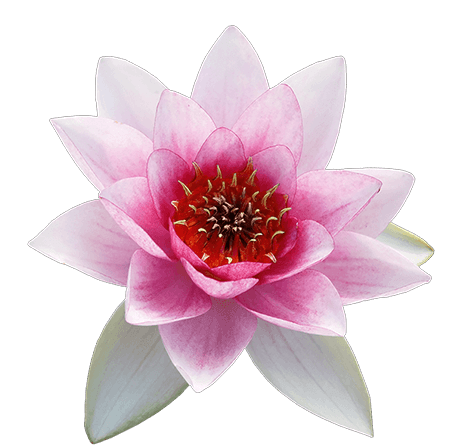 His AUMs were deep and beautiful, and in a few seconds Swamiji started to breathe again, his color came back and I felt a very rapid heartbeat between the ribs of his chest. The three of us decided to move Swamiji to his bedroom. We were easily able to drag the chair with him in it into his bedroom. Then we lifted him into the bed and positioned him in a way so he could breathe more easily. Shurjo continued to do AUM in his right ear and between AUMs I was telling Swamiji to breathe. Anand and Kirtani arrived along with Saraswati, the nurse for the community. I told Kirtani that he had almost left us this time, but AUM had brought him back. I also asked her to please call Jyotish and Devi to tell them what was happening. We tried to reposition Swamiji onto his left side to help him with the breathing, but this didn’t seem to work so well so we turned him again to his back. I asked Narayani to change places with me and to tell him to breathe because I thought he might listen to her voice better than to mine. As she said, “Swami, breathe!” He opened his eyes about halfway and looked at her. His eyes were focused from a far, far away place. He looked directly at her, then closed his eyes, and took his last breath with a very long exhale. His breathing stopped and there was no longer a heartbeat. Kirtani was in the other room on the phone with Jyotish and Devi, so I went out to tell her that it seemed Swamiji was gone. Kirtani came into the room and we all knelt on the floor around Swamiji’s bed for several minutes as Shurjo continued to chant AUM into Swamiji’s right ear. Then Shurjo stopped, and we all sat, kneeling, in the silence and stillness. There was a powerful feeling of Swamiji’s omnipresence permeating and emanating throughout the room. Then Kirtani led us in chanting AUM to Swamiji’s soul for several minutes. Lakshman arrived at the house around this time. 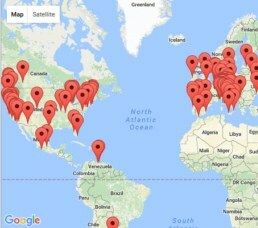 He was aware of what was happening from the start, but rather than come immediately, he had waited in his office for further news so he could send an e-mail message out to everyone on his list around the world. Once he had informed everyone of Swamiji’s passing, Lakshman came to be at Swamiji’s bedside. Others began arriving at the house and came in to sit quietly and meditate with Swamiji’s body. Then at some point, we needed to prepare Swamiji’s body to be taken to the Temple. Kirtani, Shivani, Narayani, and I washed his body with lavender-scented water and dressed him in his blue nayaswami robe. Jaidhara and Shurjo picked flower petals from around the outside of the house and brought them in to put around him. More people came to meditate with his body. This continued in his house for a period of about two hours. Then the time came to transport his body to the Temple. He was placed in the back of Anand’s station wagon and Narya, Jaidhara, Shurjo, and Jayadev rode with him to the Temple. Many, including Bryan and Helmut, ran alongside the car all the way up the hill. Swamiji’s body was placed in the Temple of Light on an area that had been specially prepared with beautiful altar cloths and flowers. As word spread out through the community, devotees began to gather quietly in the Temple to pray and chant together. Jayadev and Kirtani led one chant after another as people quietly came forward with flowers and tears to pay homage to a soul that many considered to be their very best friend. After a few hours Kirtani led the astral ascension ceremony. Swamiji’s body remained on this special altar all the rest of the day and into the afternoon of the next. He was then placed in a casket on Monday afternoon. There were people with him night and day sometimes in quiet prayer and meditation, while at other times there were kirtans or shared stories of how Swamiji touched and changed our lives forever. Swamiji’s body remained in the Temple in an open casket for eight days as people from all over the world gathered to pay tribute. It was a time of profound grief in the midst of great waves of Swamiji’s omnipresent love and joy. In these days, we were able to be with Swamiji’s body all day and all night, touching his hands, his feet, and lovingly caressing his radiant face. Many people would feel Swamiji very near, hear him laughing, seeing him as youthful, vibrant, enthusiastic, as indeed, there was joy in the heavens! Jai Guru! Jai Swamiji! Thank you Nayaswami Miriam. That was such a beautiful and detailed account of Swamiji’s last moments here. It seems like he passed very peacefully, even if unexpectedly. I’ve read about near-death-experiences and how remarkably peaceful it is to transition out of the body, especially if you’re spiritual. It apparently feels like you’re taking off a very heavy overcoat, and are finally free to relax in your REAL body. I can imagine Swami is now happier than ever, joined with Yoganandaji and Yukteswarji probably on Hiranyaloka or a similar place. And I’m sure he has come to an inner understanding with Tara Mata and Daya Mata as to why things unfolded the way they did with SRF. I can only hope he comes to someone in a dream or something so he can explain where he is and what he’s doing now! How inspiring that would be. God Bless Him. Thank you so much for sharing these details with all of us and for everything you did to help Swamiji over the years. Thank you so very much Miriam for this wonderful picture you’ve given of those last days and minutes of Swamiji’s passing. In friendship, Jerry. Thank you dear Miriam for this wonderful description. Swamiji had the best nurse in the World. Blessings always. Thank you Nayaswami Miriamji. It was such a vivid account, as if I could see everything through my mind’s eye. I pray to and for swamiji as I do so for our whole ananda community. Jai Guru. Indeed, a few days after that day I slowly started to realise that Swamiji’s real being was in omnipresence, and that I was grieving for an old temple he simply left. But still those little emotions come to me again when reading this, and his omnipresent being must be sitting by my side and reading along with me, laughing at me who’s obviously grieving for a soul who left his frail body for Eternal Joy! Thank you Miriam, for this welcome email and for all your years of dedicated and tenderhearted service to Swamiji. Thank you for sharing. Aum Shanti Shanti Shanti. Thanks for telling us what happened on last day of Swamiji’s physical life. Very beautifully and lovingly, you have expressed everything and I felt like being there during those moments. Om. 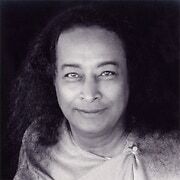 I always thought that Paramahamsa Yogananda dropped his mortal frame amidst a large audience standing in his shoes and speaking of god as he wanted to. This account is given in great detail in his books. I wonder what this narration is about.